My neck aches this evening, but on the plus side I have some excellent remedial treatment in the form of a bottle of General Sherman IPA from the craft ale folk at Tioga-Sequoia Brewery in Fresno, California. The pain in my cervical vertebrae is due to two consecutive days which have seen my head inclined skyward at numerous intervals. As to why I have been peering up so frequently the short answer is trees – very large trees. 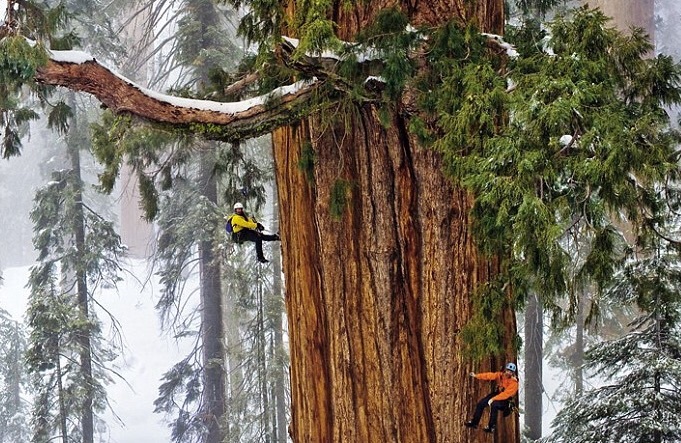 The Sequoia National Park covers a vast area in the Sierra Nevada in Eastern California. The drive up there from the central valley is dramatic enough as one exchanges the heat and flatness of the valley for the glorious High Chaparral of the foothills. This is the true California Gold where the winter-watered green grass turns a burnished gold as tawny as a lion’s mane. The 49ers ignored it in favour of the metallic variety and drunk and gambled themselves to oblivion. However, not all of them but that is another story. We are here because we love trees. We love them with an uncomplicated sentimentality that reminds us of time spent high in their branches as children, of sitting beneath them around campfires, of lying on the ground and looking up into their leafy canopies and watching autumn leaves twirl softly to the ground. For as long as we can remember they have filled our horizons with their intricate tracery and called us back to an older time when they were sentinels and spirit-filled deities of the land they were anchored to. So, one cool morning at 6,500-feet we found ourselves in a thick pine forest that rolled outwards in every direction. We walked in and were soon beside a vibrant green meadow bordered on all sides by pines as straight as arrows. After skirting the meadow we entered a denser part of the forest and it was then, through a gap between a stand of trees that we saw our first truly giant sequoia. It was a startling sight because it immediately entered the realm of the fantastic, the ‘never before seen’. We lifted our heads skywards and, not for the last time that day, were reduced to holding the back of our heads to cradle them as we peered up. The effect was somewhat akin to looking the wrong way through a telescope. The perspective seemed all wrong as the tree did not appear to lose any thickness as it rose into the sky. Free of branches for over a hundred feet it continued beyond that for another 150-feet at least. A giant in a forest of already huge proportions. Walking on we began to see more and then a half-mile further on were treated to our first grove, six magnificent trees of equal girth and height standing as though convened for a quiet chat. It was a magnificent sight. To stand beside one, let alone six, of these trees is to be treated to a glimpse of nature at her most architecturally splendid. A piece of design that hints at aspirations of a crowning glory; the largest living organism on the planet capable of living for thousands of years and of withstanding the ferocity of numerous forest fires (in fact of needing them to reproduce). 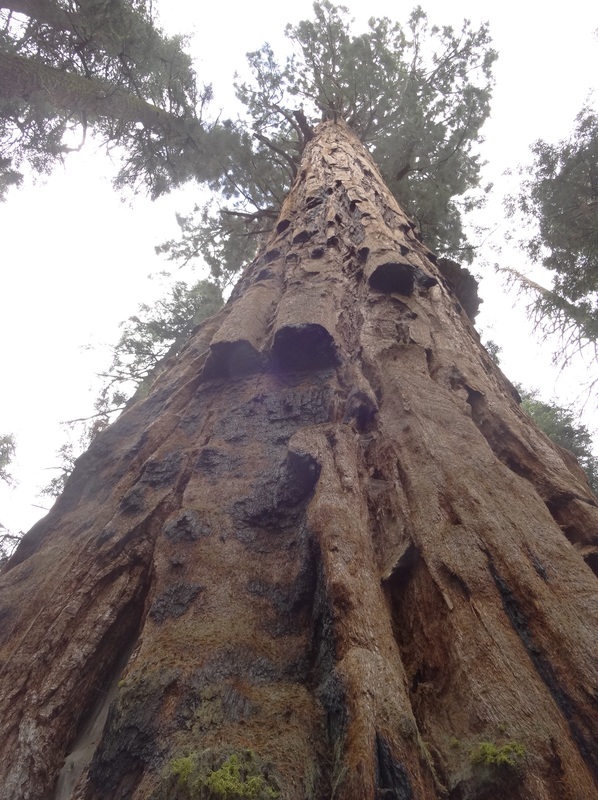 There are many facts about the life cycle and history of the giant sequoia but there is one that really stood out for me. The timber from the mature trees is very resistant to decay, but due to being fibrous and brittle, it is not wholly suitable for construction purposes. 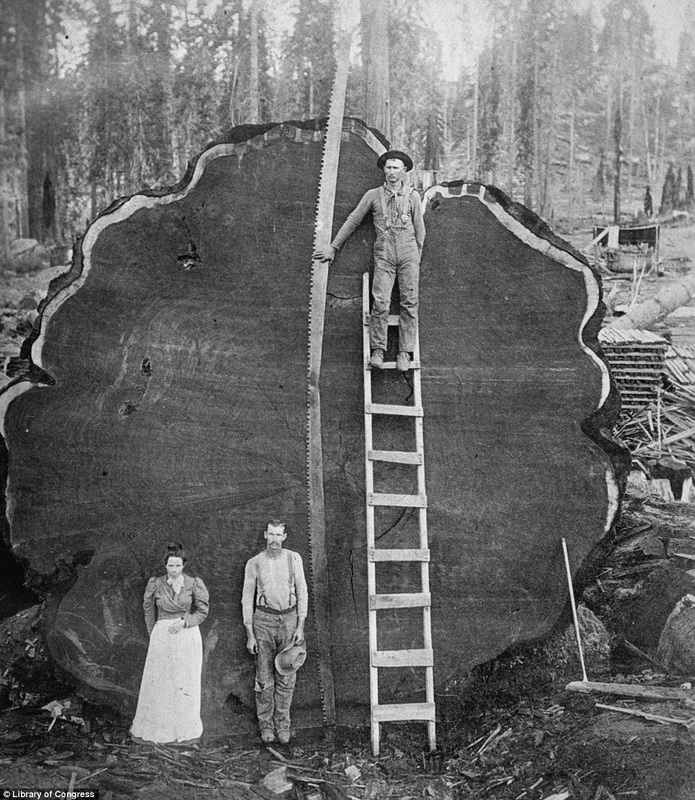 However, from the 1880s through to the 1920s much logging of sequoia occurred in spite of the minimal commercial gains. Due to their weight and brittleness trees would often shatter when they hit the ground and much of the wood was wasted. Less than 50% of the timber felled is estimated to have made it as far as the wood mills with the vast majority being used for shingles, fence posts, or, most ignominiously, for matchsticks. It was pictures of these majestic giants felled, broken and abandoned in formerly pristine groves – as well as knowledge of the modest uses they were put to – that spurred a huge public outcry and led eventually to the preservation of the land on which the largest groves still stood. It is somewhat ironic that the largest trees on earth have an inbuilt ‘inutility’ factor that has led to their survival through to the present day. Had they been of more flexible structure internally then they would doubtless all have fallen and now be housing later generations of the men who wielded the saws. In fact the giant sequoia does not die in the normal tree sense of dying, they just become too huge and topple due to the inability of their shallow root systems to hold them upright any longer. I am deeply pleased to have been able to walk beneath them as it had been a long held wish to do so and it did not disappoint. In fact, it was an extraordinary sensation and one that, even now many days after the event, stays with me as one of the most beautiful forest walks I have ever made. I cannot do better than end with a few words from pioneering conservationist John Muir who explored and named the giant forest. 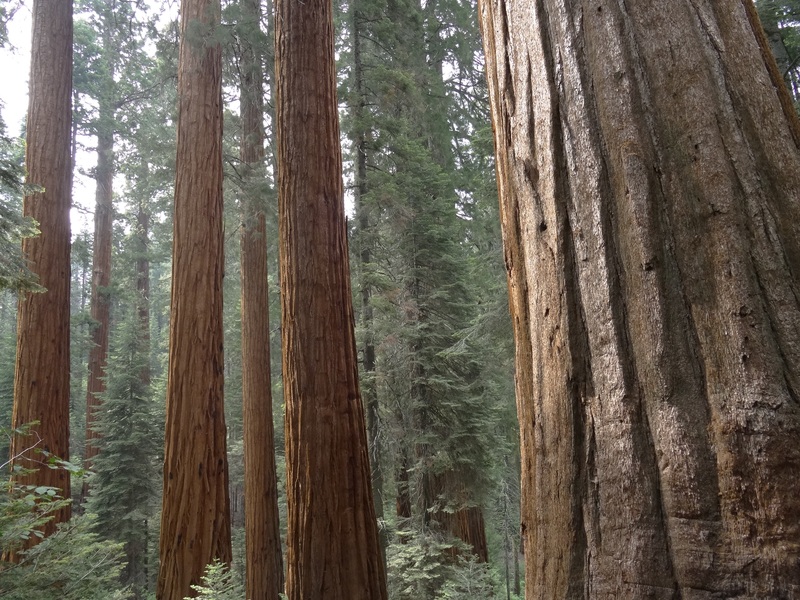 This entry was posted in America, travel and tagged America, California, General Sherman, John Muir, Logging, Sequoia, Sequoia National Park, Sierra Nevada, travel, trees, walking, Wilderness by Ashby's World. Bookmark the permalink. What a sight to see! I am glad they grow in such a way that make them not so useful for building. Imagine such wonders being used as bloody match-sticks!